This is a shot of Albert Park (named after Prince Albert) in Central Auckland. It’s not far from the university and on a fine day, it’s the perfect place for students to eat their lunch. Mystery writer JA Konrath has a very interesting post about e-books and what he predicts will happen during 2010 in the e-book/e-reader world. I’m actually feeling very positive about e-books at the moment. I love the freedom of writing for e-publishers, although the pirate issue does worry me. It’s truly disheartening when pirates put up books for free download on release day. It’s not only the e-authors who have a pirate problem though. The pirates have no compunction in making e-copies of paperback books and giving those away free too. I think the increased competition in the e-reader market can only mean good things, driving the price down. Like Mr. Konrath, I’d like to see a standard industry format. What do you think will happen in the e-book world during the next year? I’m guest blogging at the Samhellion blog today and talking about diaries and my upcoming release, The Bottom Line. While you’re there don’t forget to check out the special Christmas scavenger hunts to win either a Kindle reader or a Sony reader. Today my special guest is agent Holly Root from the Waxman Literary Agency. Shelley: Tell us a little about yourself. How did you become an agent? Holly: I actually had no idea that “agent” was a job until after I’d already landed in publishing. When I moved to New York I knew I was interested in trying something a little different than the editorial work I’d been doing, and that led me to make my way to the agency side. Agency work allowed me to work with authors shaping their books but also shaping their careers. Shelley: What are the most recent books you’ve sold? 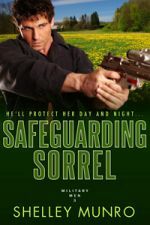 Holly: This summer was busy with renewing contracts for clients at Pocket, Grand Central, Harlequin and elsewhere, and that’s always fun, seeing an author’s series continued. I have some great debut fiction heading out on submission soon too. Shelley: You’re going on holiday. What books do you take with you for your reading pleasure? Holly: If I were leaving tomorrow I’d take the four books at the top of my TBR pile: Jennifer Weiner’s Best Friends Forever, Sophie Kinsella’s Twenties Girl, Malinda Lo’s Ash and James Dashner’s The Maze Runner. Unfortunately there are no holidays planned soon! Shelley: A query letter is very important these days. What mistakes or problems do you see in the query letters you receive? Holly: Most are just not quite ready for prime time—clear first drafts, or letters that lay out the entire plot to less than stirring effect. I also see many letters that say, “Writing this was very therapeutic.” I find most authors feel that way, but it doesn’t affect the market appeal of the work so it doesn’t belong in your query. Shelley: How would you describe your ideal client? Holly: Crazy talented as a writer, thoughtful as a person, and cool-headed enough for the wild ride we’re about to go on together. Ideally we’d also have similar communication styles; nothing is harder than working on a subjective endeavor like fiction with someone who doesn’t speak your language editorially. Shelley: Do you offer editorial advice for your clients? Shelley: A lot of aspiring authors struggle with high concept and the fact agents and editors are looking for a high concept in submissions. What is your advice to writers with regard to high concept and how would you define it? Shelley: For authors who live outside America, one problem that comes up is setting. Is a US setting necessary or does it depend on the genre? Holly: That’s an excellent question. For contemporary genre fiction I think a setting outside of America is a bit tougher sell, but of course historicals (mystery, romance, general fiction) have often, even primarily been set outside our borders. If you’re in the more upmarket fiction market there’s more openness to settings beyond the US as well. Shelley: What is your best craft tip for aspiring authors wanting to submit to an agent? Holly: 90% of writing is rewriting. I don’t know that it ever gets easier, but I know that the more you learn to self-edit and polish, the stronger you’ll be at those skills. Shelley: Thank you very much, Holly! For more information about the Waxman Literary Agency, and up-to-date details of genres they represent or would like to see in the future, check out their website and blog. It was a weird sort of a weekend for me. I attended the conference, but I have to admit I had trouble focusing on what the speakers were saying because of the personal stuff going on in our lives. I did, however, have a couple of real lightbulb moments – thank you Fiona Brand and Mary Theresa Hussey – and I think that once I return from holiday, it will be with renewed energy and inspiration for my writing. I attended an early morning talk with agent Melissa Jeglinski from the Knight Agency. They read the first pages of manuscripts and she stopped them when she reached the point where she’d make a decision. The following is a summary of her dos and don’ts. For you experienced writers out there this is probably commonsense to you, but a reminder never hurts! 1. Don’t start your manuscript with a one-sided conversation. i.e. phone call. You’re wasting an opportunity to use characterization through dialogue. 2. It’s good to make the reader want more. i.e. intrigue them but don’t throw everything and the kitchen sink into that first page. 3. Add characterization rather than too much backstory. i.e. have your characters make an appearance early rather than giving lots of narrative first up. 4. Sentence length – don’t make those opening sentences too long and convoluted. You want the reader/agent/editor to understand the sentence. If they have to read it twice you have a problem. 5. You need a coherent flow of dialogue and narration. Don’t have all dialogue and no narration at the start of your story. Make the dialogue meaningful. 6. Don’t feel the need to give a detailed description of clothes etc in that first page. One or two details are fine but don’t describe everything in minute detail. In a talk about Harlequin and the various lines editor Mary Theresa Hussey gave us a list of points that the editors use when they’re reading a submission. 1. Are the opening and closing lines strong? i.e. it’s that hook thing. Use strong hooks! 2. Do the characters make decisions? i.e. are they active rather than sitting back and letting things happen. 3. Do the conflicts come across as strong and interesting? 4. Are the characters compelling? 5. Does the story start in the right place? i.e don’t be tempted to slide in all that back story! 6. Do you want to read on? If they can answer yes to all these questions, your manuscript is in good shape. Mary Thesesa also mentioned that the Harlequin Intrigue line and the Harlequin Presents line are definitely looking for new authors, so if you’re interested in either of these lines get writing! And two final things: If you’re interested in the new Harlequin YA line check out the prequel for Rachel Vincent’s debut story. You can download your free copy here. Harlequin do regular podcasts that can be downloaded at this link or at iTunes. There are some additional ones coming any day now so keep checking back. The existing podcasts include editor inside information and interviews with authors.